Since childhood, Erin Macdonald has been in love with science fiction as well as with the dream of working as a scientist. Today she is in the enviable position of combining both loves. Erin is a noted aerospace engineer with a background in astrophysics, a consultant for science fiction writers, and a science educator (teaching kids and others about sci-fi and STEM through pop culture). As a Ph.D. student, Erin explored the mysteries of astrophysics, completing her thesis based on working with the famous LIGO (Laser Interferometer Gravitational Wave Observatory) Collaboration, an effort focused on searching for gravitational waves. Currently, she is an engineer for Engility Corporation, and is also known for her work as a science educator — using pop culture to educate audiences in classrooms, seminars and sci-fi conventions on how space intersects with science fiction. 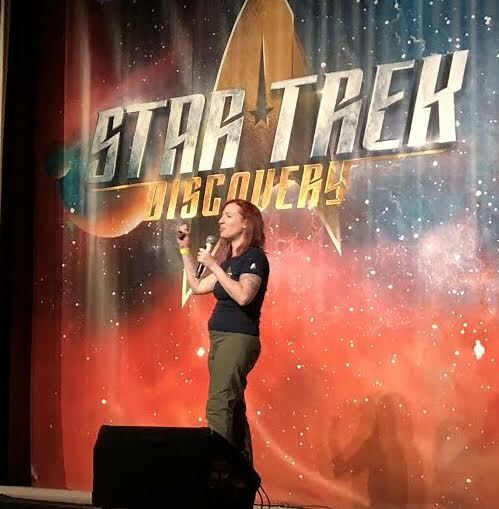 In addition, she works with authors to review and advise them on space science in their fictional work, and is host of the online series, Dr. Erin Explains the Universe. Erin completed her postdoctoral research at Cardiff University; her Ph.D. in Astrophysics at the University of Glasgow, and her B.A.s in Physics with Astrophysics and Mathematics from the University of Colorado at Boulder.